Dr Anna Kubicki is a graduate from RMIT University with a double Bachelor degree (Bachelor of Clinical Science/Bachelor of Chiropractic Science). 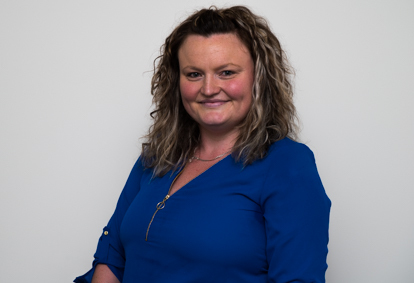 She is a full member of the Chiropractors' Association of Australia (CAA) and is registered with the Australian Health Practitioners Regulation Agency (AHPRA). Dr Anna has a very open and approachable manner which has been reinforced by her extensive travel overseas. During this time she worked in Ireland in a variety of clinics, both rural and metropolitan with a multi-national patient base. As a result of this, she has experience treating people of all different ages (including babies and the elderly) and backgrounds with a variety of different complaints from full spinal pain to sporting injuries and work related injuries. Over the years she has seen first-hand the amazing power of Chiropractic and the huge impact it has on people's lives. She has been back in Australia since 2011, working to ensure the best care for her patients. Her treatment approach is more in tune with the person as a whole and their needs as opposed to a single symptom. This approach incorporates chiropractic manipulation, soft tissue work, nutrition advice, rehabilitation, posture advice plus anything else that may be required to help the patient achieve their full potential and their goal of optimum well-being. As a busy mother of 2 small children, she also enjoys going to the beach, going to the movies, Pilates and spending time with her family.